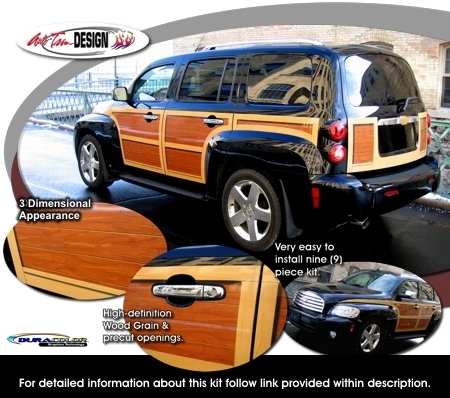 Celebrate nostalgia with our nine (9) piece easy-to-install Wood Panel Graphics kit created specifically for the '06-Current Chevrolet HHR. The look of the late 40's is captured in this high-definition digital print. Digitally printed with our DuraCOLOR graphic technology, kit is manufactured with premium automotive grade vinyl film materials. 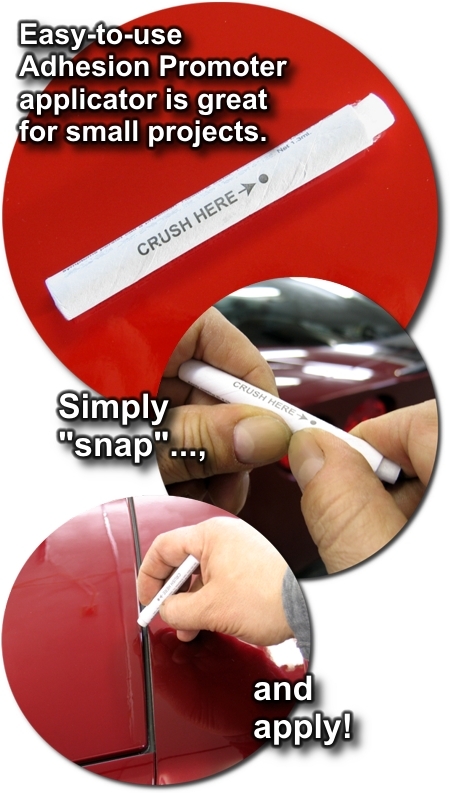 As a further step, graphic is covered with a 2.5 mil clear laminate which provides protection from miles of abuse. Our kit is precut and set for installation at the HHR's distinct upper body line. Pieces are contour cut and all openings are removed for ease of application - NO TRIMMING or CUTTING required! In fact, seasoned installers should be able to apply this kit within 1-2 hours.